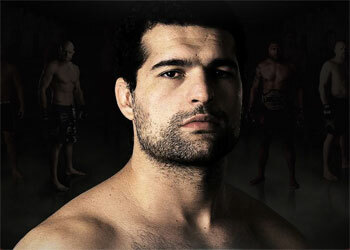 Is it too early to call Mauricio “Shogun” Rua’s UFC 97 scrap against Chuck Liddell a must-win? He is 1-1 inside the Octagon, but with another poor showing, the world’s former top ranked 205-pounder could be sent packing. Shogun defeated his long-time PrideFC foe Mark Coleman in an uneventful tussle at UFC 93 earlier this year. The Brazilian looked slow, sluggish and out of shape throughout the fight, however was finally able to TKO the 44-year-old in the 3rdRound. “I know my potential, and I know that it’s only up to me to reverse this,” Shogun said of his lackluster performance. The 27-year-old is trying to keep things in perspective, but he is working on borrowed time in his quest to prove to the UFC fans that he is as good as advertised. “I only stopped for one week after the fight [against Coleman] and already began training camp, and that training camp kept me with the training rhythm,” said Rua. Shogun’s 2007 UFC signing was one of the most monumental in company history. He was one of the most dominating and exciting fighters in the world, and the organization hoped that he would solidify their already deep 205-pound division. Unfortunately, his Octagon career got off on the wrong foot, or should we say knee. Prior to his UFC debut loss to Forrest Griffin at UFC 79, Shogun had been recovering from a surgically repaired knee, however he felt that it was healed enough for him to fight. It clearly wasn’t, as he wasn’t the same explosive fighter as we have seen in the past. After the bout, he went to have a second operation on the knee, and he is now 100% confident that it, and he, are exactly where they need to be in order to take over the UFC’s most prized division. You can catch these two MMA superstars duking it out this Saturday at the Bell Centre in Montreal, Canada.